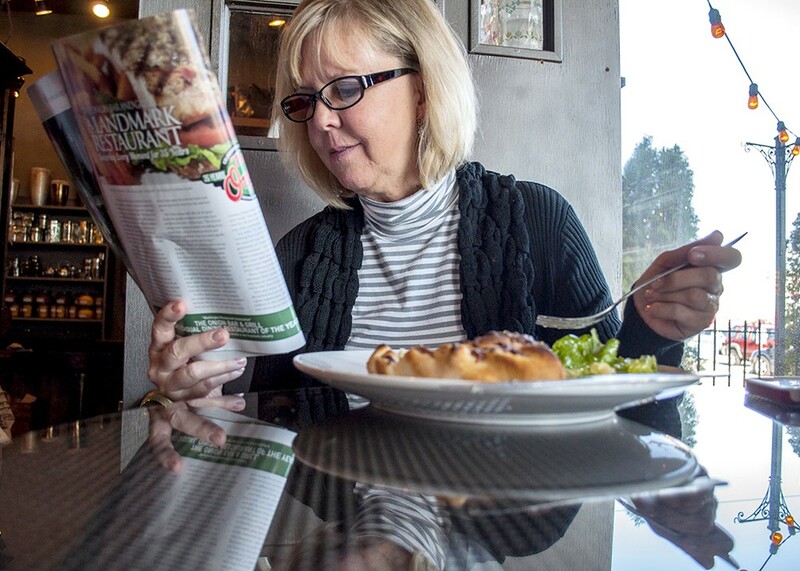 Jeri Schaffner, visiting from Coeur d'Alene, drove out of her way to enjoy a meal at Ferrante's. When Tony Ferrante opened his café, he figured it would be a pizza place, albeit an upscale one. Still, he would keep things simple. You'd order at the counter and pick up your own food when a chef said it was ready. Nine years later, this simplicity — coupled with reliably tasty Italian food — hasn't changed at Ferrante's Marketplace Cafe. What has changed is the variety of items on the menu. "We were thinking more of a pizza place when we started, but it's evolved," says Ferrante, whose restaurant is also home to a boutique gift shop and busy catering business. Nearly everything is made in-house, including their delectable salad dressing, and they've expanded to include pastas, panini, calzones and other dishes, like the super-popular five-layer baked lasagna. Ferrante's also serves wine and now offers four beer taps. Wednesdays feature local acoustic musicians, adding more of a vibe to the already comfortable dining room.